While some stores knock off a measly 3.14 percent to celebrate Pi Day, Microsoft is going big, offering up to 31.4 percent off select PCs at the Microsoft Store and pricing others at $314. Why is this important? Because you may find deals that are even better than Microsoft’s big holiday discounts. Naturally, the largest sales are reserved for the most expensive models, like the Dell XPS 15 9560, a $2,749 machine that’s been knocked down to $1,885. (In PCWorld’s review of the Dell XPS 15 (2017), we called it “the quad-core to beat.”) Lenovo’s Razer Edition of the Lenovo IdeaCentre Y900 also receives an eye-popping discount of $816 off, to $1,782. But Microsoft’s lined up some other, solid deals—definitely ones to consider seriously. Take, for example, the Dell XPS 13 9360, a 13.3-inch laptop with an 8th-gen Core i5, 8GB of memory, and a 128GB SSD—a bit skimpy in terms of storage, but otherwise not too shabby. (We rated the 2017 Dell XPS 13 9360 4.5 out of 5 stars, and the 2016 Dell XPS 13 equally highly. ) Over the holidays, Microsoft sold this laptop for $999. Today it’s on sale for more than $100 off, at $891.11. Here’s another: the 15.6-inch Dell XPS 15-9560. No, not the top-of-the-line model we referenced earlier, but an affordable Core i5/8GB RAM/256GB SSD model, powered by a discrete GTX 1050 chip, to boot. It’s $350 off, and priced at an affordable $1,299. Microsoft has also compiled a number of laptops at Pi Day-friendly prices: $314 for a rather nice HP Pavilion 15 (normally $599) , the Dell Inspiron 13 i5378 (normally $599), and the Asus VivoBook Flip, normally $349. Bargain hunters shouldn’t rule out the NuVision Solo 10 Draw Windows tablet, either: The Atom x5 chip powering the 10.1-inch display is a bit iffy, but at just $49 (regularly $249!) it’s worth a look. Unfortunately, not everything is being offered for bargain-basement prices, but the deal still aren’t bad. The Dell Inspiron 15 7577, an Nvidia GTX 1050-powered laptop that’s nearly identical to PCWorld’s best budget laptop? Our review model cost $950; Microsoft sold the same model for $599 over the holidays. Today, the Dell Inspiron 15 i5577 is on sale for $699. 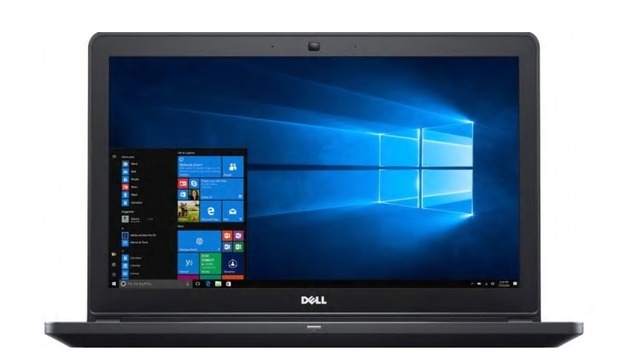 A slightly more powerful configuration, the Dell Inspiron 15 7577, is on sale for $200 off, at $899.00. All told, there are 69 laptops and desktops on sale today. But don’t expect the discounts to last until tomorrow. What this means to you: PC makers are always eager to get rid of last year’s inventory to make room for new models, and this year is no exception. Sure, we all prefer the latest hardware, but a 7th-gen offering isn’t that much of a step down. If you’re in the market for a solid, inexpensive laptop, today might be the day.